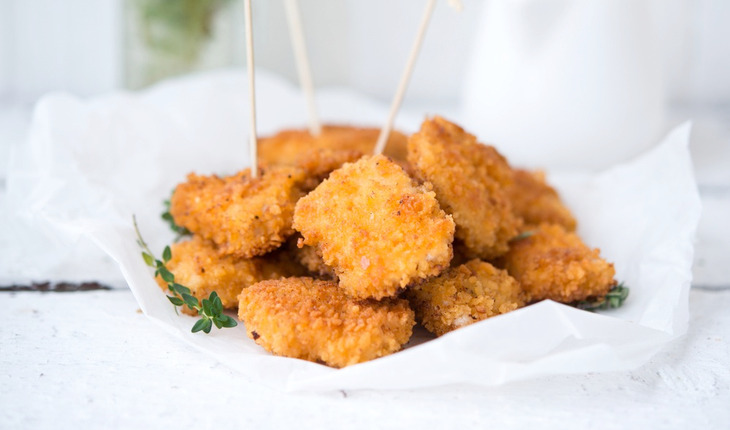 These spicy and crunchy pecan-crusted chicken nuggets are sure to please – they’re perfect for the whole family. Combine breadcrumbs (or cereal), pecans, chili powder, and sea salt in a food processor; process until the pecans are finely chopped and the chili powder is mixed throughout, about 1 minute. Transfer the mixture to a shallow dish. Meanwhile whisk mayonnaise, buttermilk (or milk), dill, and garlic powder in a small bowl. Serve the chicken with the dip. Enjoy! Grape-Nuts are a delicious, healthier substitute for regular breadcrumbs with far fewer additives + sodium.